Endeavour is a popular premium SUV by Ford India. 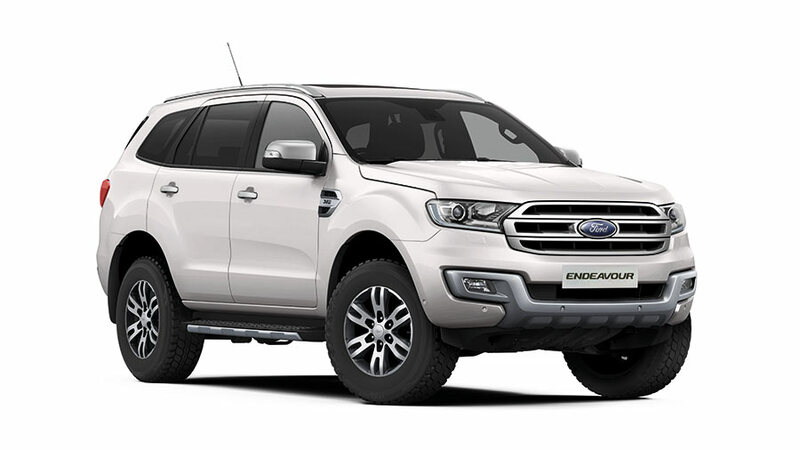 Ford Endeavour has been introduced by the company to give a tough competition to Fortuner, a premium SUV from Toyota which has been received well in Indian market. 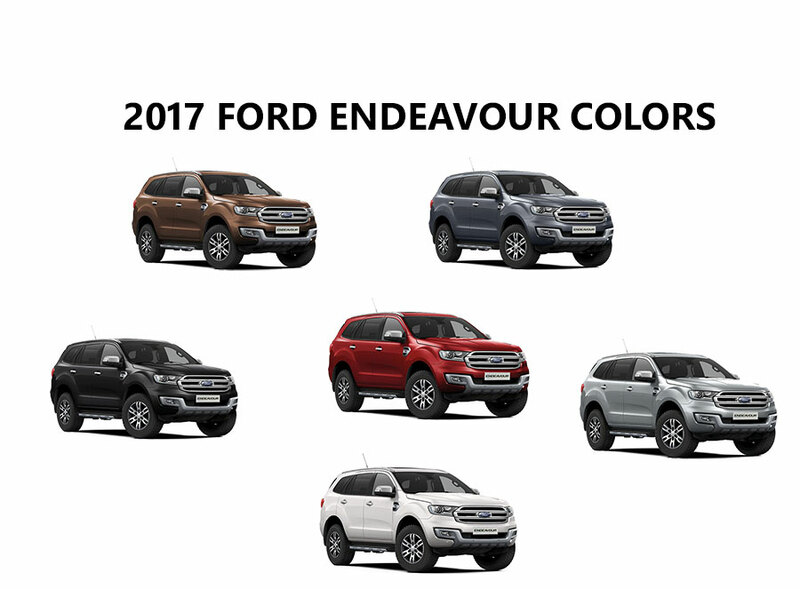 The all new 2017 Ford Endeavour , a true off-roader is made available in 6 different color variants – what follows is the list of color variants available for Ford Endeavour model available in India. 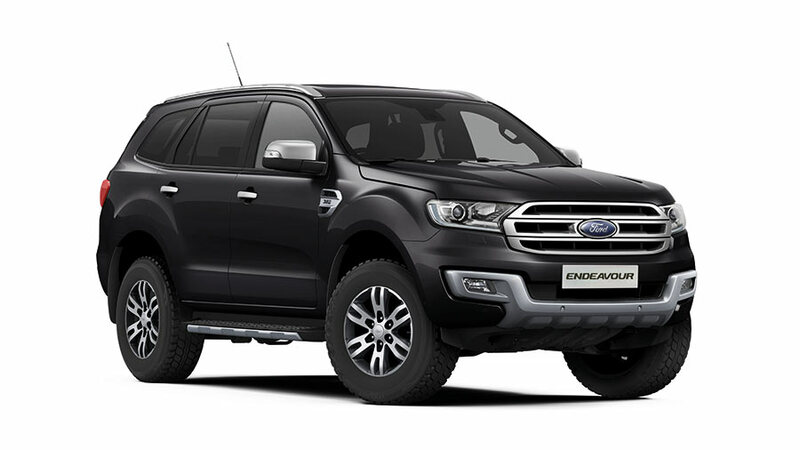 Get New Ford Endeavour for Test Drive! Provide your details so that we can arrange a test drive of New Ford Endeavour for you at your city! The all new 2017 Ford Endeavour SUV is offered in 2 powerful and mileage friendly engines – Ford Duratorq TDCi 2.2L and 3.2L diesel engines. The powerful diesel engine present in Ford Endeavour is mated to a robust 6-speed automatic or manual transmissions for exceptional capability. New 2017 Ford Endeavour gets a clever 4-wheel drive system, an active transfer case with Torque on demand, a first-in-segment Terrain Management System, impressive water-wading capacity of 800 mm along with outstanding 225 mm of ground clearance that help the Ford Endeavour conquer almost everything. Which Ford Endeavour color did you like? Let us know by commenting below.